I'm a huge candle lover as you all may know, I enjoy burning candles all year round especially through the winter months. 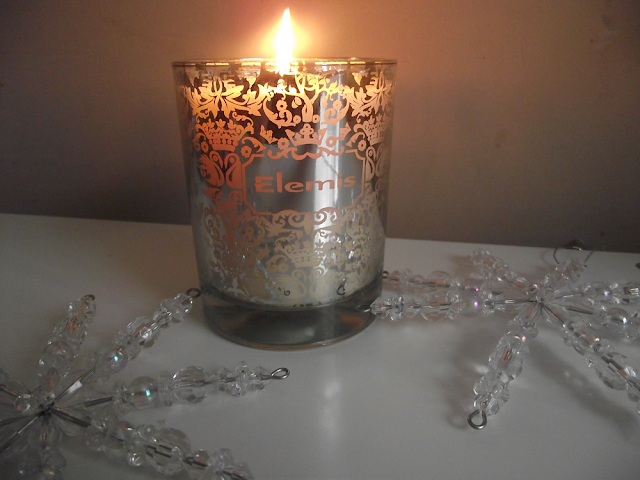 I find there's nothing more soothing and relaxing than lighting a candle or two! 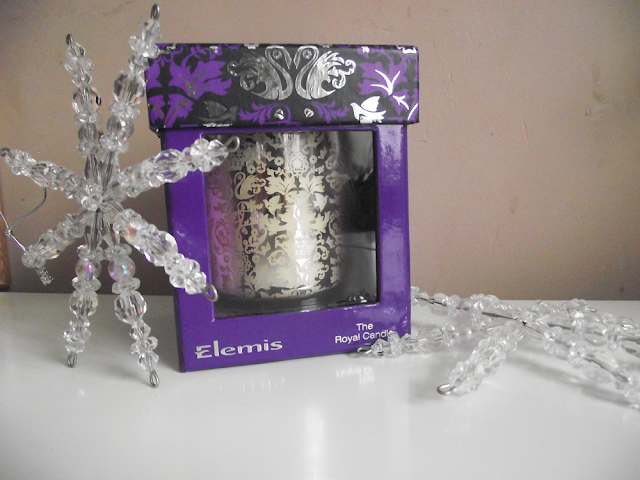 I was very kindly sent The Royal Candle by Elemis, the scent is a soothing aromatic scent, it's very subtle and not strong. The scent of vanilla is evident as are the soft aromas of Lily and Jasmine. The candle is housed in a a beautiful patterned glass votive with a silver crest on the front, silver patterned swans and crowns and scrolls make up the intricate pattern. 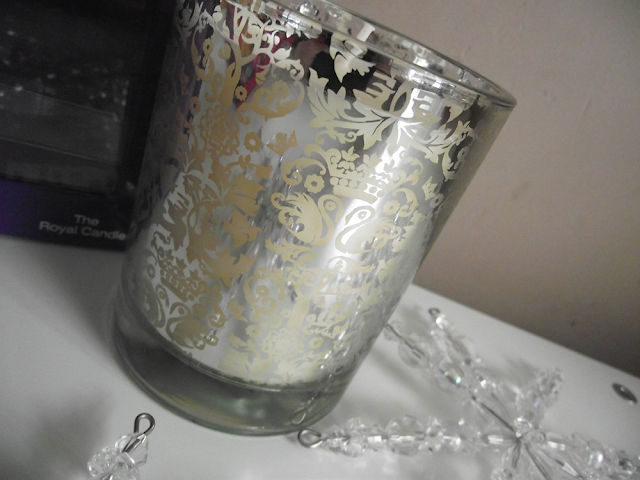 The name of the candle and the pattern certainly has a regal charm about it. 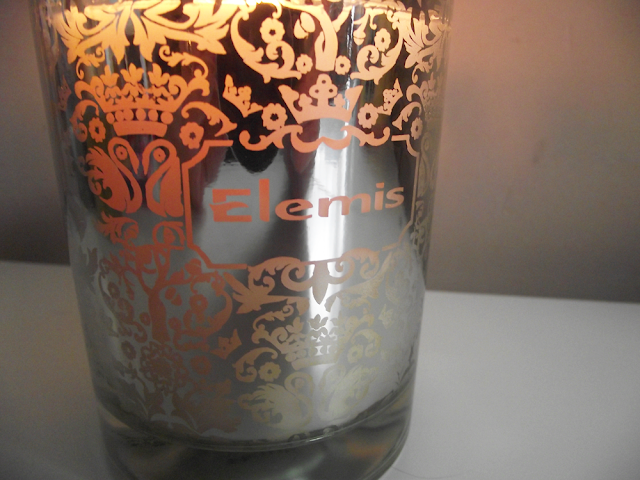 This would make a great treat for any Elemis fan as well as candle lovers like myself. I'm already contemplating what to use the pretty votive for afterwards. Do you enjoy burning candles?